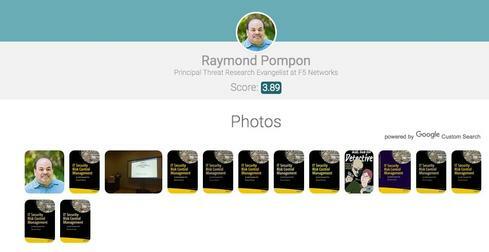 A treasure trove of PII from social networks and the public Internet is there for the taking. Seven minutes until his next meeting, Charles Clutterbuck, the CFO of Boring Aeroplanes, had just enough time to answer a few emails. A dozen emails glowed unread at the top of his inbox stack. He skimmed down the list of names and subjects when one caught his eye. It was from an old friend. With a nod, he clicked it up. "How’s it going, Clutt?" the email began. He smiled at the old nickname from the dorm days when he first met Bill. Funny that Bill was emailing him at his work address, but that question was quickly forgotten as he skimmed the message. As you might have guessed, this is a spear phishing email. In spear phishing, the attacker leverages gathered information to create a specific request to trick someone into running something or giving up personal information. It’s an extremely successful technique and attackers know this. In fact, the Anti-Phishing Working Group (APWG) reports that phishing has gone up 5,753% over the past 12 years.Phishers work by impersonating someone trusted by the target, which requires crafting a message that is credible and easily acceptable. To do this, the phisher needs information about the target to construct their disguise and bait the hook. They get this information by research and reconnaissance. In the example above, an executive at a military plane parts supplier received an email apparently from a friend. His interest in car racing—as well as his friend’s name and style of speaking—was plucked off social media. 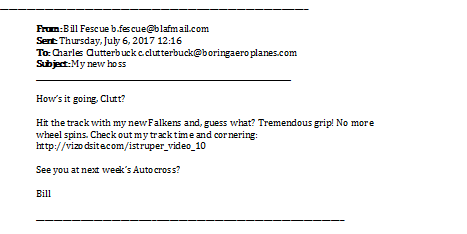 The attacker spent a few minutes of web research on car racing to get the vernacular right, and then created an email account in the friend’s name. The link is to a site with a video server that sends an exploit geared to the target’s laptop operating system (gleaned from research on the company infrastructure). It loads specialized malware built to exfiltrate aerospace intellectual property. Easy, peasy. So, we know that attackers are gathering information from social networks and various Internet sources, but just how much information is available? It’s worth exploring what's typically discovered in an attacker’s passive electronic reconnaissance. And, that’s not counting active recon like calling the company’s main phone number and trying to extract information via pretexting or going onsite for dumpster diving. This is all low-risk stuff that can happen in secret from afar. Analyze sentiment to determine people’s opinions and political leanings. Analyze posting times to determine when people are awake (and asleep) and their home time zones. Determine an individual’s personality type, which can inform manipulation techniques. Analyze relationships and friendship ties. With sites like Facebook that host nearly 2 billion users, it’s very easy to craft a Google search for someone with [name] [location] site:facebook.com” to find their page. Most employees don’t think about things like this—because most employees don’t think like bad guys. It doesn’t occur to them how much personal and work-related information they are freely volunteering on various websites — or how easy they make it for phishers to pull information together into some pretty comprehensive professional dossiers. The lesson here is think before you volunteer information about yourself and your work, and limit the number of websites where you do this.